MultiBrief: Is clinical pharmacy really the future of our profession? In the fall of 1974, I entered pharmacy school energized by a new vision of pharmacy practice called clinical pharmacy. Now that 40 years have elapsed, let's take a look at how this vision has manifested within the profession and the education of our student pharmacists. Since a large percentage of practicing pharmacists were not even born in the 1970s, let me put this in context for you. In 1974 the bachelor degree was still the entry-level degree to practice pharmacy. Our PharmD program had one four-unit course in therapeutics, and not all graduates went on rotations. The doctor pharmacy was not required until the 1990s. When I began practice in 1977, there was no such thing as computers, and doctors could check a box on the prescription saying "do not label." We then dispensed the medication with the patient's name and directions only. We were discouraged from talking to patients for fear we would disrupt the doctor-patient relationship. Generic drugs were brand new, and we could not give them to a patient without the doctor's permission. There were no clinical pharmacists. The leadership of the pharmacy profession has continually pounded the drumbeat of "clinical" pharmacy for the past four decades. Pharmacists have been encouraged to improve their clinical skills and expand their use of ancillary help. They have been discouraged from being mere dispensers of medications. Despite the terminology changing — from clinical pharmacy to pharmaceutical care to medication therapy management to primary care pharmacy — the essential message to our pharmacy students has been the same. They have been told that the clinical practice of pharmacy is the highest best use of a doctor of pharmacy degree and that community practice pharmacy is not. In 2002, the American Journal of Pharmaceutical Education (AJPE) published an article by David Knapp that projected the growth of nondispensing pharmacists from a baseline of 60,300 FTE in 2001 to a total of 317,000 in 2020. The article also projected a decrease in the number of dispensing pharmacists from 136,400 to 100,000. The Health Resource and Service Administration (HRSA) in 2008 published a report stating that in 2004 there were a total of 226,000 active pharmacists. Of those, 107,600 (56 percent) worked in community practice and 5,500 (3 percent) worked in mail order. Assuming those roles were primarily dispensing, this would mean that 113,100 pharmacists (59 percent) were employed in community dispensing. A total of 46,700 (24 percent) were reported to be employed in hospitals. Another 16,800 (9 percent) worked in other patient care settings, and 14,600 (8 percent) worked in nonpatient care roles such as industry, PBMs, education, armed service and government. The report did not breakdown the percentage of dispensing versus clinical practice. For clues to this information we have to refer to the 2009 National Pharmacist Workforce Survey, which surveyed 1,391 pharmacists across the country. Full-time pharmacists devoted 55 percent of their time to dispensing, with the percentage varying from 70 percent for community responders to 43 percent for hospital and other patient care settings. According to the survey, 53.8 percent of the respondents worked in community practice, 26.8 percent worked in Hospital, and 10.4 percent in other patient care practice, 9 percent industry or nonpatient care roles. So let me do the math. 46,700 hospital pharmacists + 16,800 other patient care pharmacists = 63,500 FTE x 43% dispensing = 27,305 dispensing FTE in noncommunity settings. Add this to the 113,100 community dispensers, and you have 140,405 dispensing FTE divided by 226,000 total FTE, which equals 62 percent of pharmacy FTE devoted to dispensing. This is down from 69 percent of the pharmacist reported in Knapp's 2002 article. It means that the dominant employer of pharmacists remains the community practice sector and that the dispensing of prescriptions remains the major activity. The predictions that clinical nondispensing practices would become the dominant practice setting for pharmacists have not materialized based on this data. More importantly, it means that perhaps it is time to rethink what the term clinical pharmacy means and how we educate our student pharmacists. The nature of our academic pharmacy education is heavily biased toward the practice of acute care pharmacy. Our highly-trained clinical faculty do amazing jobs in a variety of internal medicine and ambulatory care practices, so just to be clear, I don't think this bias towards acute and critical care instruction is a necessarily a bad thing. After all, the challenging critical care and acute care cases make great teaching cases and are certainly a lot more challenging than the routine continuity of care stuff that goes on in the typical community practice setting. But the dominant message given to our students is not just that critical care is cool but that community practice is wasting a good PharmD. Many students are afraid to tell their faculty that they really enjoy community practice. And that has to change. You guys in acute care do awesome work. I am proud of the cool stuff you are doing in those settings. But please remember that most patients are only in the hospital for a few days. And once you have saved their life and got them to where they can be discharged, I take care of them for the other 355 days of the year. I do not have the short-term critical impact you do, but I would argue that a patient's continuing care is important. My impact is in small doses over a long multiyear relationship with the patient, yours is in big doses over a short-term relationship. We are not less "clinical" than you, we are simply at different places on the continuity of care spectrum. Once you have sent them out in to the community, it is their weekly interaction with me that keeps them out of the hospital. I don't do IV nutrition, chemotherapy or vancomycin dosing, but I am able to detect adverse drug reactions because I know the patient well enough to know when they are acting funny. We both improve clinical health outcomes; we just use different tools. So let's add a little more respect for community care back in to our pharmacist training. After all, we still represent the vast majority of pharmacy jobs now and in the foreseeable future. And community practice is not only the origin, but also the backbone of our profession. 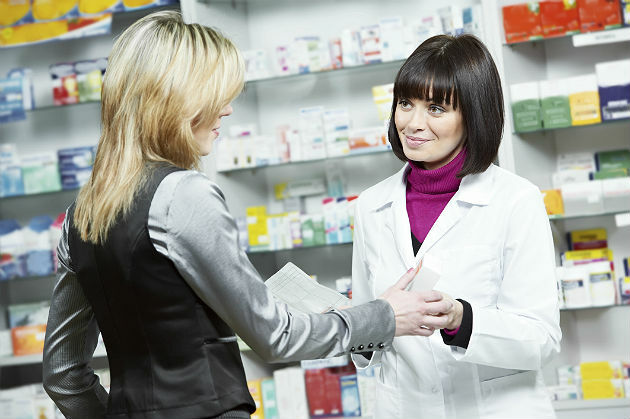 When a Gallup Poll of consumers rates pharmacists as the most trusted profession, those surveyed are referring to that person in the white coat in their community pharmacy, because that is who they interact with the most. Through the routine dispensing of medications we get to know our patients and build long-term relationships that enrich their lives. We should never stop dispensing because we would immediately lose our visibility as the drug experts in our society. So to answer the question I asked in the headline, yes, clinical pharmacy is the future of our profession, and it will happen in a wide range of practice settings. There are many valuable uses of a pharmacy degree. Author, educator, pharmacist and entrepreneur, Dr. Greg Alston educates frustrated, overworked pharmacists to select and implement the best value strategy possible so they can be paid what they are worth and build a secure future for their families. Connect with him at GregLAlston.com or Twitter.